Leaving the EU would result in an immediate cost saving, as the country would no longer contribute to the EU budget. UK is a net contributor to the EU as other large economies like Germany and France. The money is used across Europe to ensure a level playing field for the EU's poorer countries by being invested in for example, new roads or broadband. However, the bill is rising as the UK economy improves, with a net contribution of £11.3 billion in 2013, compared to £2.7 billion in 2008, according to official UK data. Last year in 2015, Britain paid in £13 billion, but it also received £4.5 billion worth of spending, says Full Fact "so the UK's net contribution was £8.5 billion". That's about 7 percent of what the Government spends on the NHS each year. 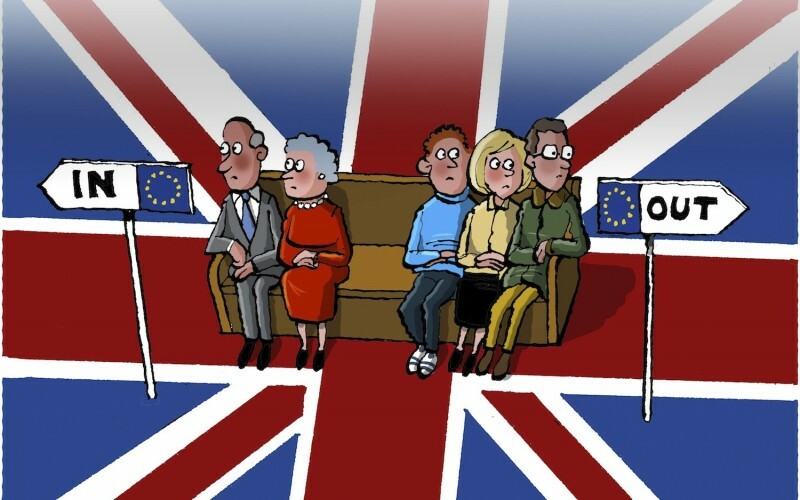 Under EU law, Britain cannot prevent anyone from another member state coming to live in the country while Britons benefit from an equivalent right to live and work anywhere else in the EU. 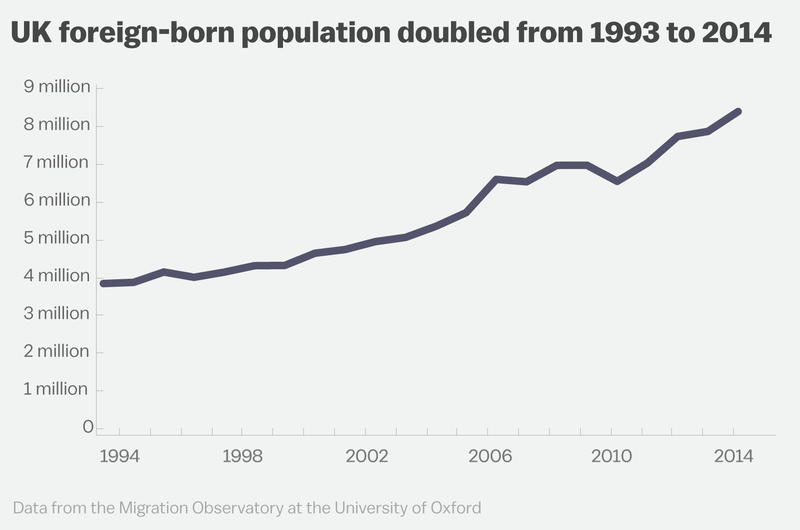 The result has been a huge increase in immigration into Britain, particularly from eastern and southern Europe. According to the Office for National Statistics, there are 942,000 eastern Europeans, Romanians and Bulgarians working in the UK, along with 791,000 western Europeans and 2.93m workers from outside the EU. China and India are the biggest source of foreign workers in the UK. Seventy-seven percent of Brits today believe that immigration levels into the country should be reduced. Eurosceptics argue that the vast majority of small and medium sized firms do not trade with the EU but are restricted by a huge regulatory burden imposed from abroad. A study by the think-tank Open Europe, which wants to see the EU radically reformed, found that the worst-case "Brexit" scenario is that the UK economy loses 2.2 per cent of its total GDP by 2030 (by comparison, the recession of 2008-09 knocked about 6 per cent off UK GDP). However, it says that GDP could rise by 1.6 per cent if the UK was able to negotiate a free trade deal with Europe – ie to maintain the current trade set-up – and pursued "very ambitious deregulation". Whether other EU countries would offer such generous terms is one of the big unknowns of the debate. Pro-exit campaigners argue that it would be in the interests of other European countries to re-establish free trade, but their opponents suggest that the EU will want to make life hard for Britain in order to discourage further breakaways. In the longer term, there are diverging views: pro-Europeans think the UK's status as one of the world's biggest financial centres will be diminished if it is no longer seen as a gateway to the EU for the likes of US banks, while Brexit campaigners suggest that, free from EU rules a regulations, Britain could reinvent itself as a Singapore-style supercharged economy. Manufacturer could scale back or even end production in the UK. Goods could no longer be exported tax-free to Europe. In addition, tax revenues would drop especially for companies that do large amounts of business with Europe particularly banks may move their headquarters back into the EU. In the short term, it is pretty clear the UK’s economy will suffer. The government has estimated that the economy will now shrink by 6.2 percent and GDP per capita will fall by more than £4,000 due to many uncertainty. During the two year negotiation period, EU laws would still apply to the UK. The UK would continue to participate in other EU business as normal, but it would not participate in internal EU discussions or decisions on its own withdrawal. On the EU side, the agreement would be negotiated by the European Commission following a mandate from EU ministers and concluded by EU governments “acting by a qualified majority, after obtaining the consent of the European Parliament.” This means that the European Parliament would be an additional unpredictable factor in striking a deal. 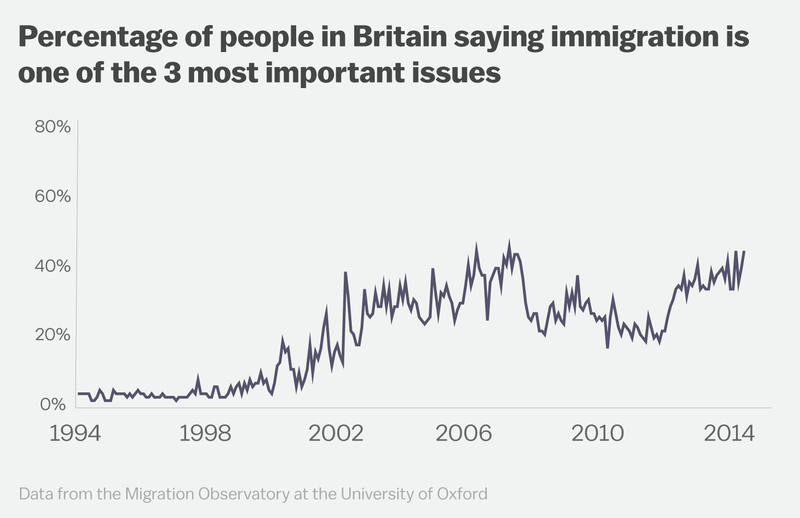 Britain’s vote is a big deal. But it could be the start of something bigger, too. This might be the first of many political expressions of discontent among EU countries, potentially causing the disintegration of Europe. Poor economic performance and inconsistent handling of the migration crisis have driven majorities in many countries including France and Spain to say they’d like a UK-style chance to vote on quitting the EU. The effect of leaving the EU on UK property depends on a complex interplay of the factors above: trade, investment, immigration, and jobs. But do not forget that UK property supply shortage still remain. Many economists and politicians believe house prices will slump should Britain vote to leave the EU, driven lower by falling demand. At the same time, it is argued that the shortage of housing in the country won't improve because a Brexit will sap investment into new homes and curb immigration of much-needed skilled workers into the construction sector. In the long term, many people argue that it will depend on how UK negotiate with the EU but many people overlook how would UK negotiate with other non-EU countries such as China, India, US, South East Asia countries, and the rest of the world. Because before brexit, they were tied to the EU rules. So I personally believe that UK economy and property market will emerge stronger regardless of many uncertainty in the short term. George Osborne, the Chancellor, warned that house prices could fall by 10pc to as much as 18pc by 2018 in the event that the British people vote to leave the EU. There is currently a housing crisis because there are not enough homes. The Government pledged last year to build one million homes by 2020, but it's way behind target. Voting for to leave the EU will not magically increase supply, even if it prices do fall. In fact, it might slow it down construction of new homes: Moody's has said that an 'out' vote risks causing a major shortage in skilled construction workers. Currently, about 12pc of construction workers are EU nationals. Hansen Lu, of Capital Economics, said: "Given that it takes years to train skilled tradesmen, immigration reflects the easiest route to meeting the current labour shortage. Thus, if it compounded existing labour shortages, Brexit could have a lasting, dampening effect on housing starts." If you are the contrarian type, below are some properties in London and Manchester for you to consider.